Choose from single or double sided SEG (silicone edge graphic) fabric panels that are lightweight, durable and machine washable. Envision5' kiosks are sturdy enough to support a monitor measuring up to 42”. Dimensional signage like headers and fins offer extra real estate for interchangeable messages. 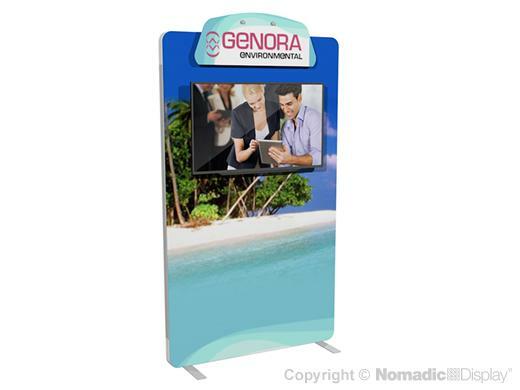 Envision kiosks are an elegant addition to your lobby, sales meeting or trade show exhibit. Envision displays ship via UPS and FedEx and come with Nomadic’s industry-leading Lifetime Warranty.